Abstract: This collective volume examines diverse ways in which young people from around the world envision and prepare for their future education, careers, and families. 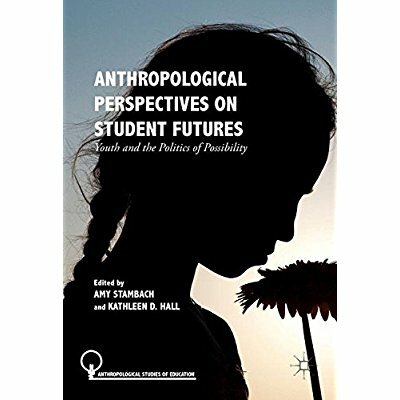 Taking an anthropological perspective, each chapter focuses on today's generation of students and on students' use of education to create new possibilities for themselves. The book offers case studies of schooling in India, South Africa, the US, Bhutan, Tanzania, and Nigeria. The book is divided into three parts: I. Aspirations; II. Realizations; 3. Afterword. Chapters: Introduction (Amy Stambach); Aspiration as capacity and compulsion: the futures of urban middle-class youth in India (Amanda Gilbertson); 'Too good to teach': Bhutanese students and a hierarchy of aspirations (Dolma Roder); A 'golden generation'? Framing the future among senior students at Gülen-inspired schools in urban Tanzania (Kristina Dohrn); Aspiration, piety, and traditionalism among Indonesian Islamic boarding school girls (Claire-Marie Hefner); Schooling in post-Apartheid South Africa: hopes, struggles, and contested responsibilities (Oliver Pattenden); Betrayed futures: uneconomic schooling in liberalizing Kerala (India) (Leya Mathew); Practice for the future: the aspirational politics of Nigerian students (Krystal Strong); Hopeful engagement: the sentimental education of university-sponsored service learning (M. Mackenzie Cramblit); Reflections on 'Student futures and political possibilities': an afterword (Kathleen D. Hall). [ASC Leiden abstract].